On the surface of it, The Empire Strikes Back is a old-time pulp adventure story and as such is the favorite of many Star Wars fans. The interesting thing about the film is how the story itself-- a middle piece with no dramatic resolution or climax-- is overshadowed by a stirring spiritual homily delivered by a badly-animated puppet (of all things). It's an all-too brief moment in time, but one that gives the original trilogy its center of gravity and may well have spawned a new religious movement. In Empire, the rebels have regrouped on the ice planet Hoth. 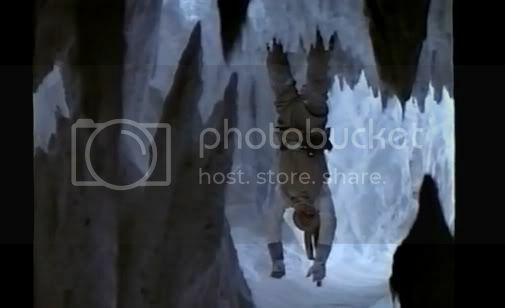 Here we see the symbolic death of Luke Skywalker in the ice cave, when he is pictured as the Hanging Man, identified with dying-rising godmen like Attis and Adonis (we also see a replay of the Hanging Man in I Am Legend). Han, Luke's symbolic father, finds the dying Luke and facilitates his rebirth by placing him inside the womb of the dead Tauntaun. Unsubtle, to say the least. Note the sequence here- Luke's spiritual father appears before Luke, who looks quite dead. As Obi-Wan's image fades Luke's symbolic father rides in and re-inseminates the Tauntaun by placing Luke back into the womb. 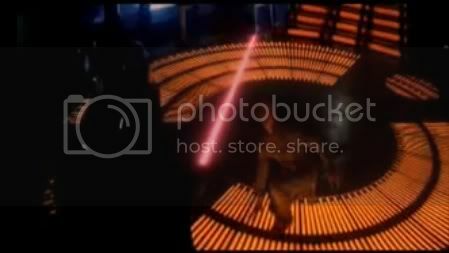 Luke is commanded by Obi-Wan to travel to the planet Dagobah, where he will continue his Jedi training under the tutelage of the Jedi master Yoda. This is Luke's trip to the underworld of the Unconscious, his spiritual womb of rebirth. Yoda ultimately trains Luke in the arts of telekinesis, one of the most important paranormal arts in spi-fi dramas. The swampy environs of Dagobah are filled with hidden monsters and The symbolism here is lmost orthodox in its traditionalism. Lucas presents us with a great archetypal drama -- the young errant knight who seeks enlightenment and travels to the corners of world to seek out a great teacher. Given Lucas's yen for Marvel Comics it's also highly reminiscent of Doctor Strange's voyage to Tibet to seek out the Ancient One. And of course it's talk of a universal Force and the use of it to perform acts of magic is taken from Carlos Castaneda's wildly-successful Don Juan novels. Yoda's speech strongly recalls Castaneda, as well as any number of warrior monks and sensei in martial arts films. 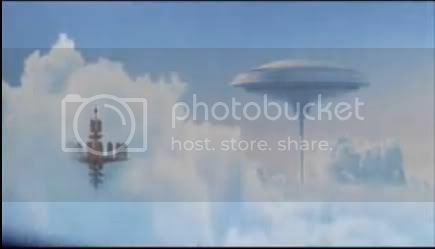 Nevertheless, it struck a very deep chord in a generation of children, accompanied as it was by high-tech visuals and universe-hopping adventure. These simple words may well have inspired the new religion of the Jedi, seeing as how it's paraphrased on Jedi Church websites. Then there's this sequence, which I only recently realized is Luke's bad trip. The monitor lizard is an important clue. Lizards are associated with shamanism in Castaneda's books and most prominently in Jessup's life-changing mushroom ritual in Paddy Chayefsky's novel Altered States. 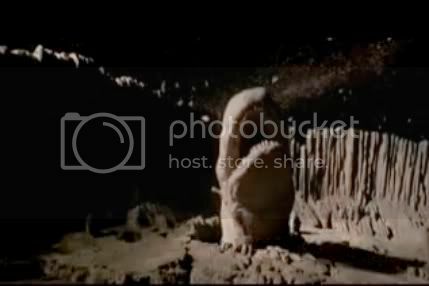 Note that a similar revelatory cave experience involving a lizard is part of the film adaptation of States, which was released 6 months after Empire Strikes Back. Note the progression here- Hoth is a dead, cold world in which the still-young, still-naive hero is hanged and symbolically dies. Does this represent dying in the intellect (Thoth, thought) and subsequently the ego? 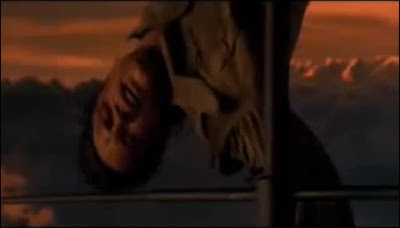 In any case, Luke then undergoes his descent into the unconscious in the hot, wet swamp-lands (replicating the womb environment) and then will be reborn towards the end of the film into the world of the gods (ie., the clouds). For what it's worth we are seeing the three stages of water: solid, liquid and gas. 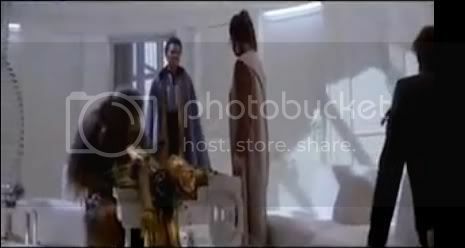 Meanwhile, Han Solo and Leia travel to Cloud City on the gas giant Bespin to meet with Han’s old friend, Lando Calrissian (played by Billy Dee Williams). 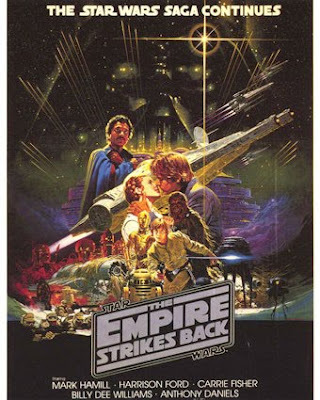 Han needs Calrissian’s help to repair the Millennium Falcon, which was damaged in a battle. 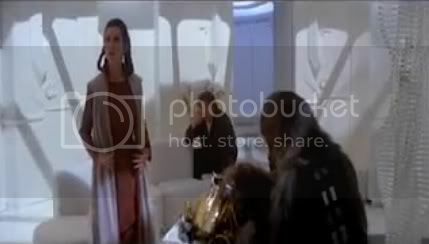 But Calrissian betrays Leia to Darth Vader and Solo to a bounty hunter named Boba Fett. Solo is frozen into suspended animation in a tomb of carbonite, an act which recalls the murder of Osiris in the sarcophagus presented to him by Set. 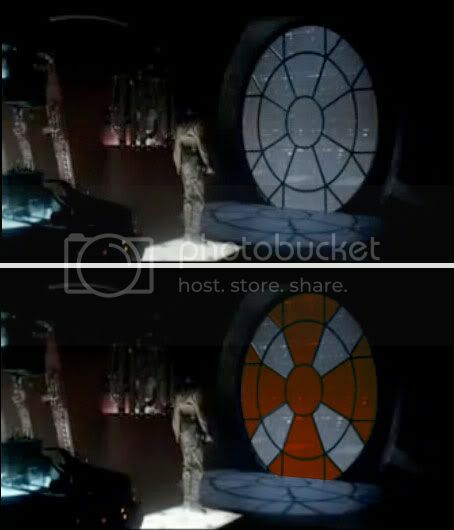 The fact that the betrayal takes place in what looks like a dining room, and that “Fett” rhymes with “Set” merely drives the Osirian analogy home. 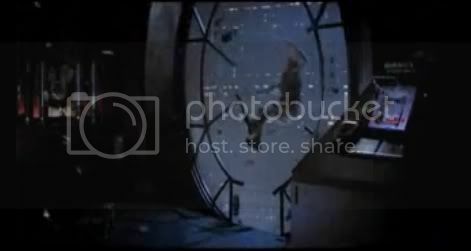 Luke (in his role as Horus the Avenger) arrives in Cloud City and does battle with Darth Vader, who severs Luke’s right hand (echoing the loss of Horus’ right eye in battle with Set). It is here also that Vader reveals to Luke he is his father. Luke then escapes from Vader and the film ends somewhat ambiguously. Luke was essentially defeated in battle and had to flee. Han Solo has been taken away, presumably to his death. The only good news is that Lando switched his allegiance back to the Rebels and helped Luke and Leia escape Vader. 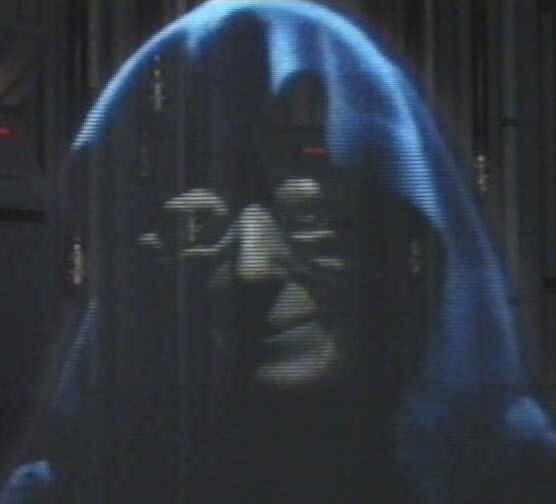 We also finally meet the Emperor Palpatine (played by Ian MacDiarmid). He is concerned by the emergence of Luke Skywalker as a presence in the Force and as a danger to the Sith ("Seth"). Darth Vader tells the Emperor of his plan to convert Luke to the Dark Side, just as Palpatine did with Vader. Note that Palpatine wears a monk's habit. Palpatine’s name is extremely revealing. It's like a corruption of ‘Palatine,’ one of the ‘Seven Hills’ of Rome referred to in the Book of Revelation. ‘Palatine’ itself comes from the root word palatin, which is Latin for ‘of the imperial house.’ The Palatine Hill is where the Roman Emperors held their palace (which is where that word springs from). In the Star Wars prequels, Palpatine is ostensibly a Julius Caesar, the first Roman Emperor and destroyer of the Republic. But Palpatine also seems like a crypto-etymological contraction of Philip V, the nemesis of the Knights Templar; and Constantine, who used a one world religion to shore up a global empire. 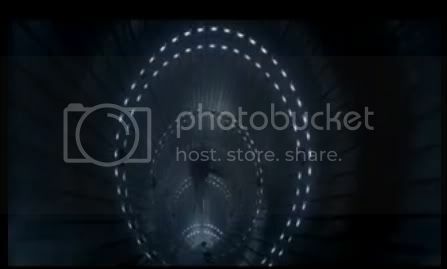 More death/resurrection symbolism: Echoing Jonah in the belly of the whale, bringing us back to Oannes, connecting again back to Osiris. None of this bodes well for Han, who's about to enter into his own dying/rising drama. More foreshadowing: there's an inexplicable sequence in which C3p0 is abducted and dismembered. 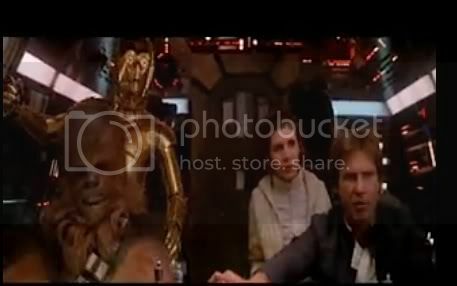 Or inexplicable until we get to this sequence, in which we see C3p0's gathered body parts just prior to Han's invitation to dinner. Here we enter a kind of dream logic realm in which one figure acts as a substitute/prophecy for another's sacrifice. It goes without saying that Osiris was killed during a dinner party. And again, Han's encasement in the carbonite is an almost shocking parallel to the encasement of Osiris in the custom made coffin. 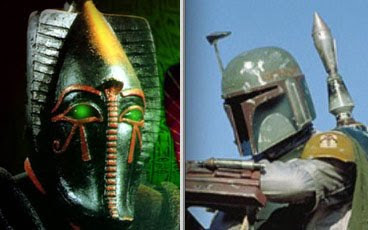 Note the appearance of Boba Sett, just to put the icing on the cake. One man betrayed with a kiss. 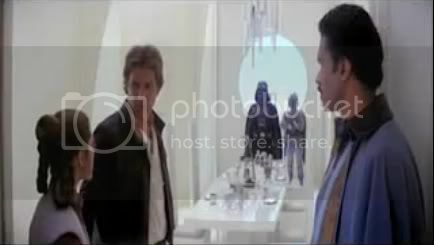 Lando acts as Han's Judas. As mentioned before, things get a bit garbled in the Star Wars Universe. The slash writers appreciated it either way. 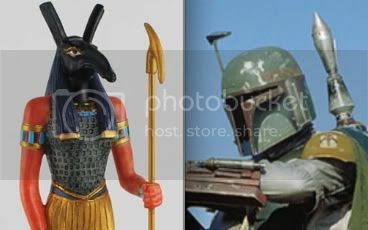 The narrative connections are only helped by Chewbacca lugging around C3p0's body parts, just as Anubis assembled those of Osiris. Father and son battle atop the Black Sun. The Star Trek film First Contact used the same motif, in a similar struggle with the Borg. Note the cleverly-hidden Templar cross. Longtime Secret Sun readers realize that the Templar cross is merely a borrowing of the cross of Shamash, the Assyrian ("Sirius") sun god. Given the Templars' obsessive archaeological work, it's quite possible they knew that. And then we see Luke flung through the window, ultimately leading to his symbolic rebirth as the newly born "Son of the Suns." After the battle with Vader, Luke undergoes his symbolic rebirth. Here he descends down a model of the birth canal. And right on schedule we see him again in the Hanging Man pose -- on a cross, no less. Make note of the ominous sunset lurks in the clouds. Did I mention that the Hanging Man is identified with dying-rising gods from antiquity? 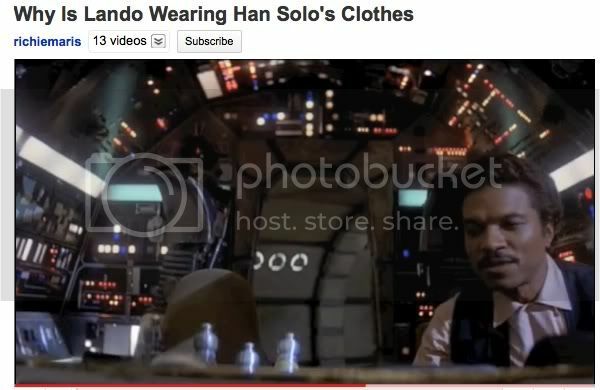 Why is Lando wearing Han's clothes? Because he represents Han's first resurrection. Like Osiris, Han will resurrect again in Return of the Jedi. Just as we saw Han juxtaposed with C3p0 to signal that the Droid's dismemberment is a foreshadowing of Han's Osiris death role, so too is Lando juxtaposed with C3Po in the next shot. Is this intentional? Possibly, but a better question is always "was this a conscious decision?" 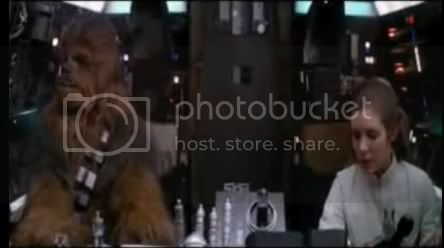 Note again Chewbacca trying to reassemble C3p0, exactly as Anubis did with Osiris. Remember that the only piece missing was the phallus. 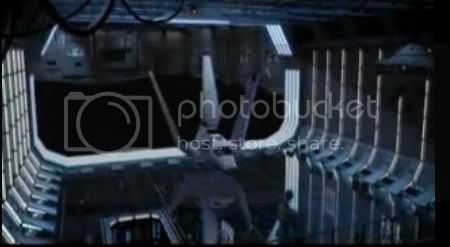 Then look again at Boba Sett's ship as Han (in his carbonite coffin) is loaded aboard. 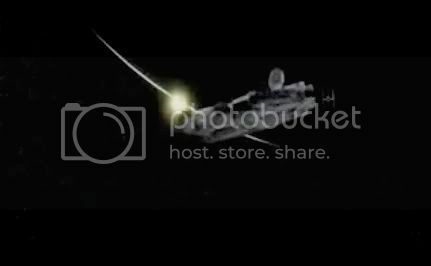 ...in which we see the sunrise -- identified with the birth of Harpocrates -- linked to the Falcon as it speeds off with the symbolically-reborn Skywalker. This will lead us straight into the next film for reasons that soon be made clear. Fasten your seatbelts.